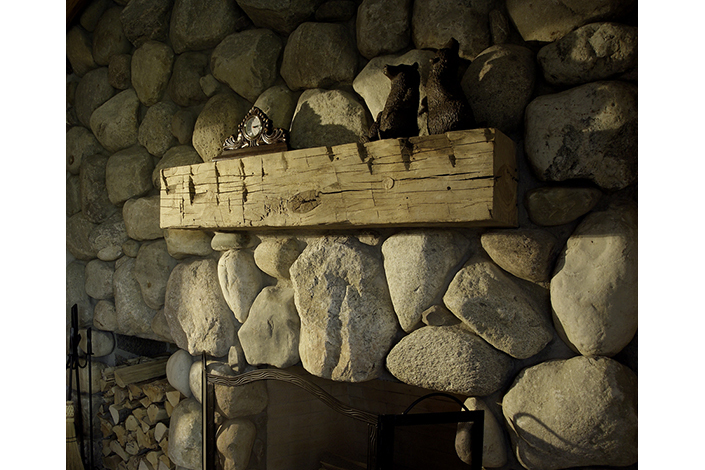 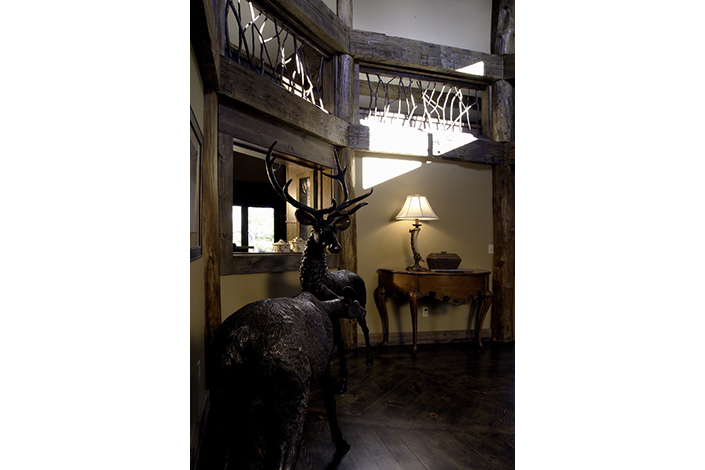 We carefully interviewed our client and interpreted their wishes into fine details and open spaces. 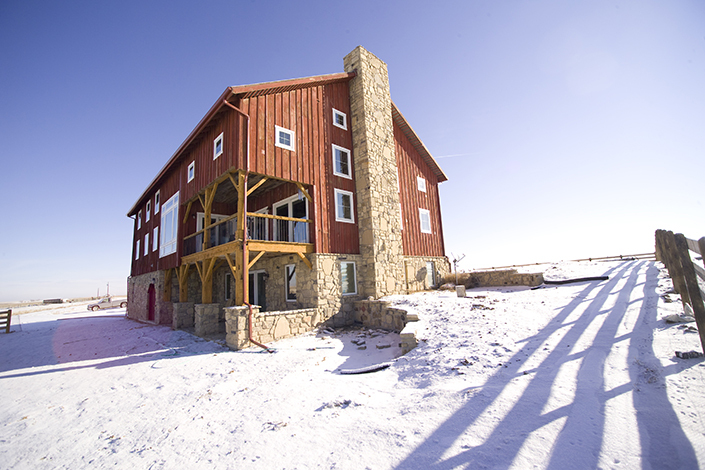 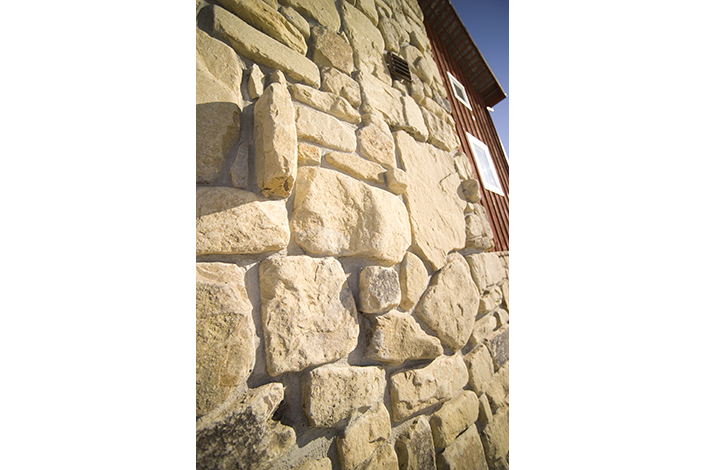 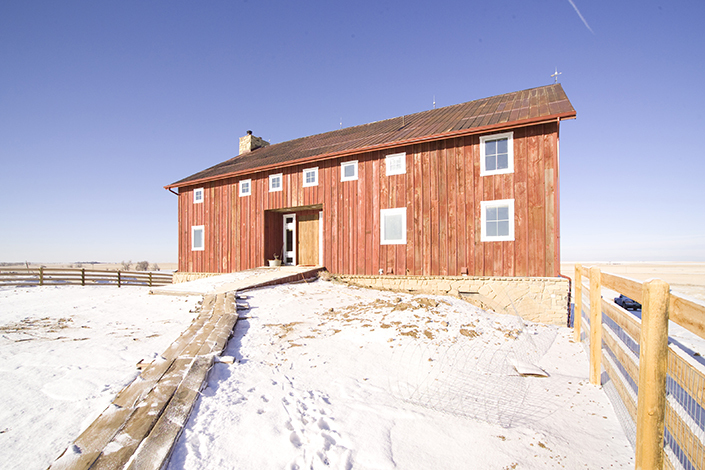 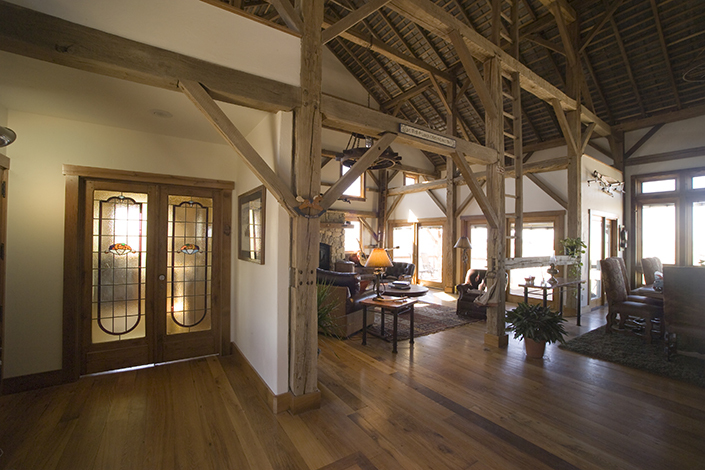 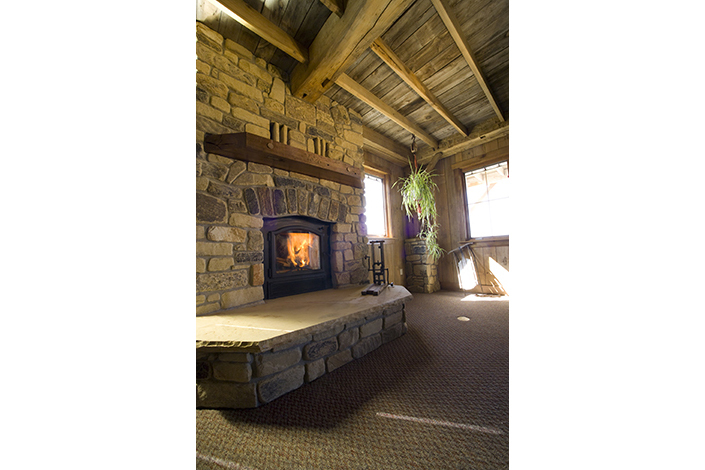 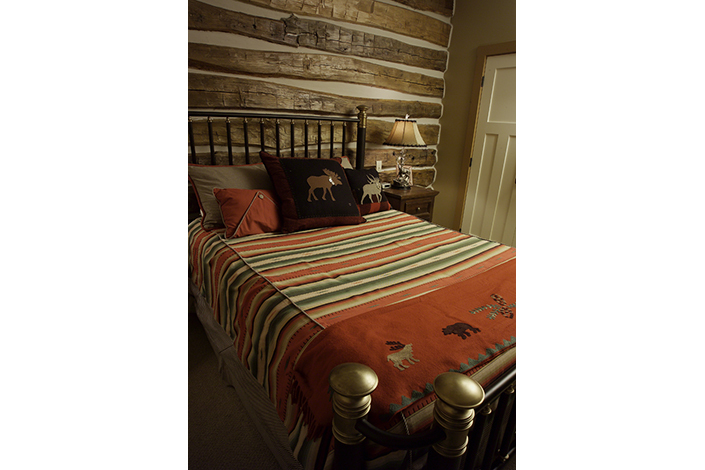 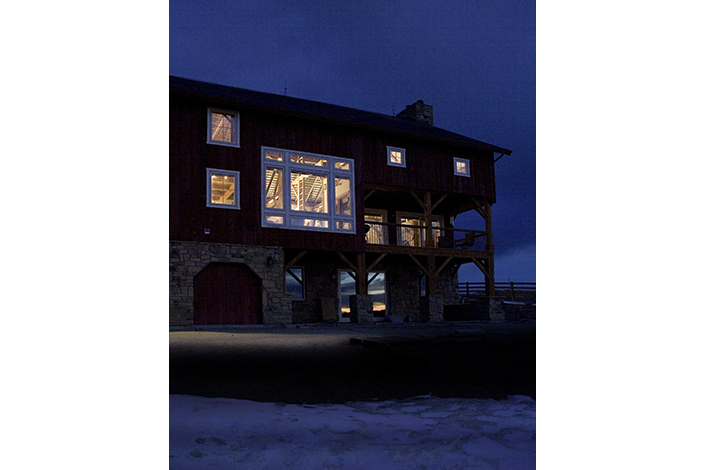 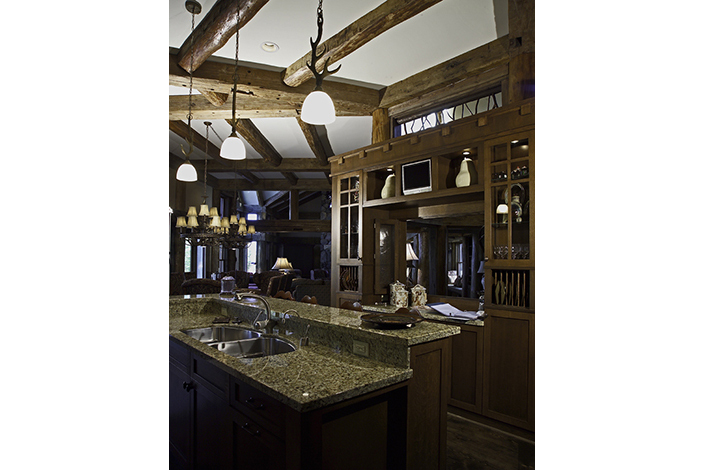 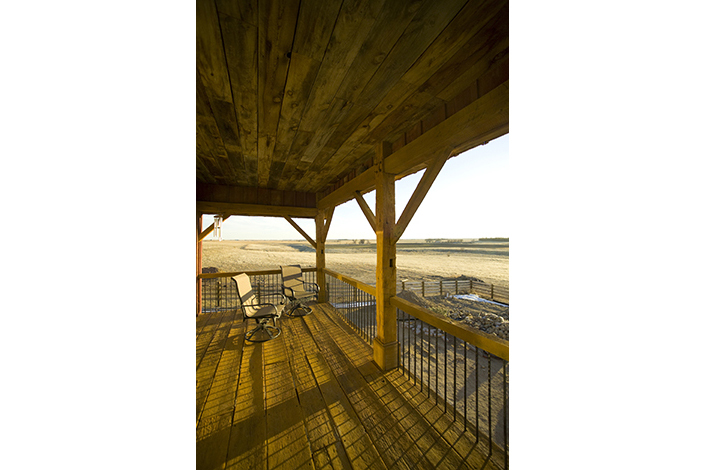 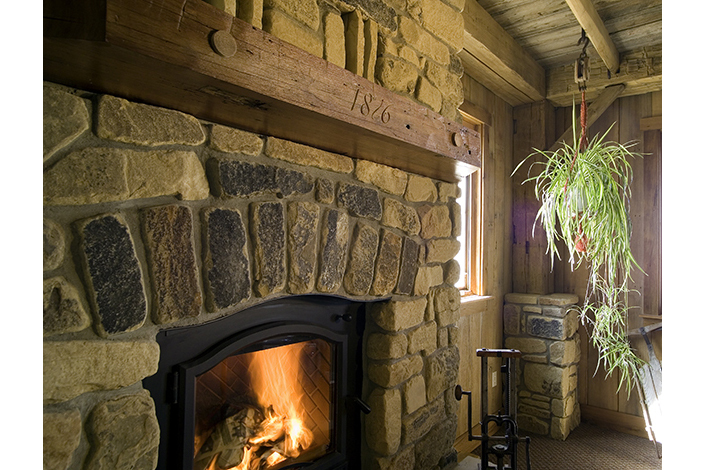 We created this home from the recovered wood of a deconstructed Ohio barn that was originally built in 1876. 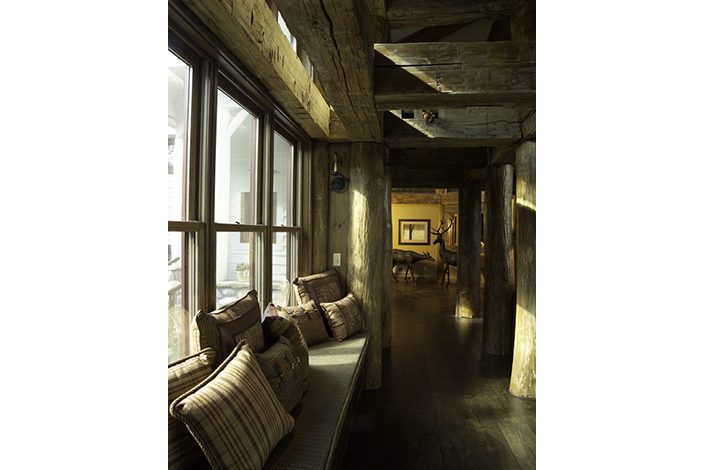 This home is a fine example of reclaimed timbers and green technology. 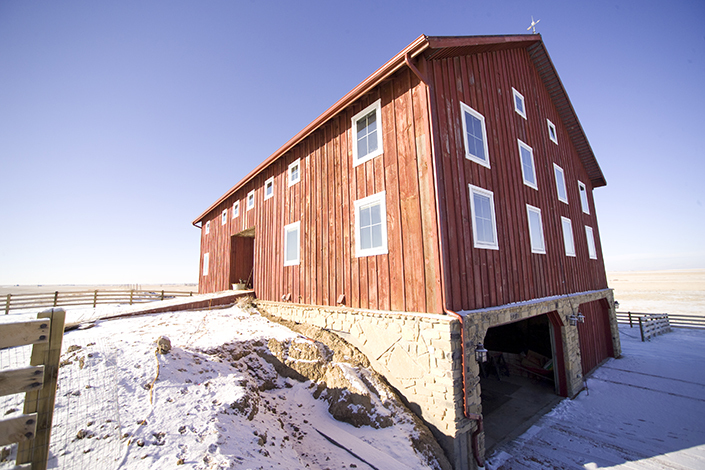 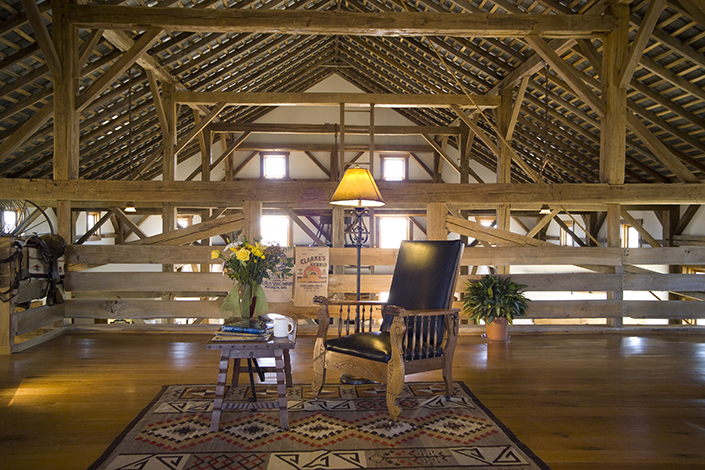 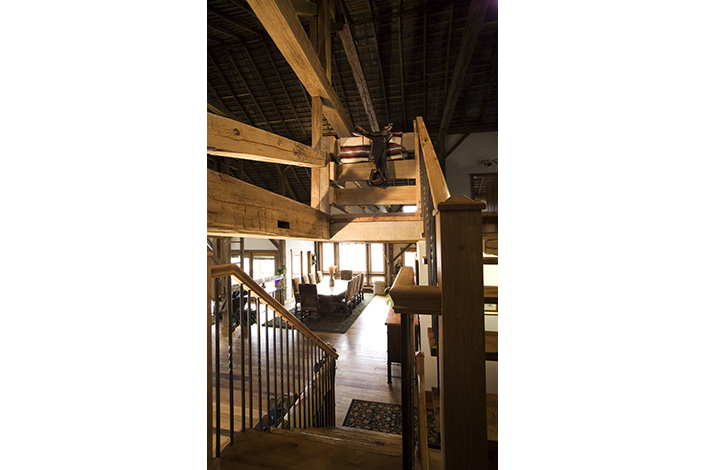 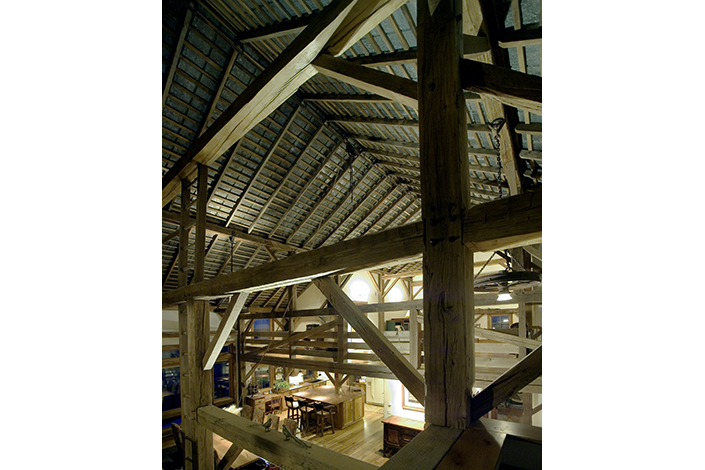 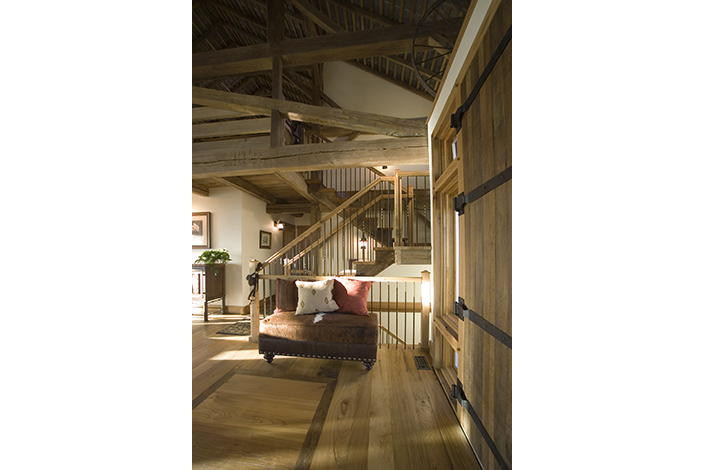 The 6,000 square foot house features the lofts and spaces of the old barn and comfortable living spaces with radiant geo-thermal heating throughout the floors milled from reclaimed wood that is over 200 years old. 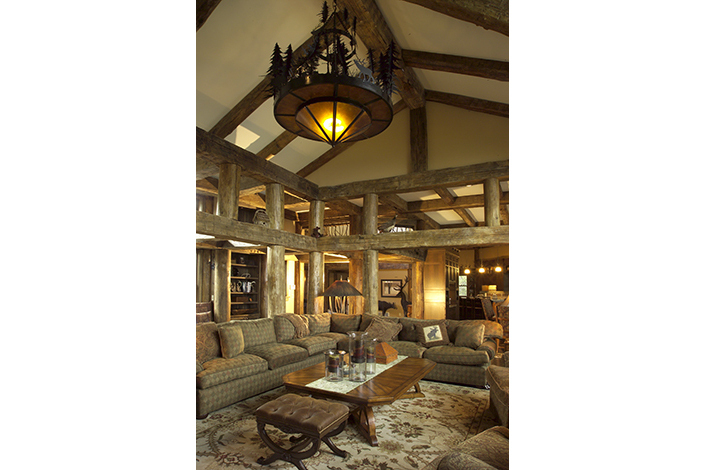 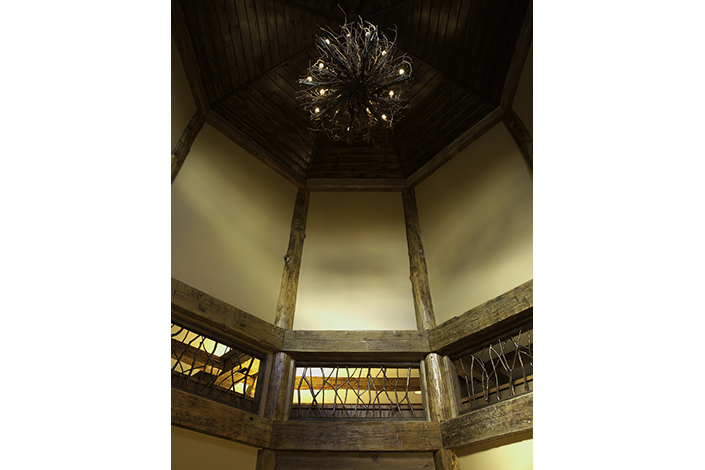 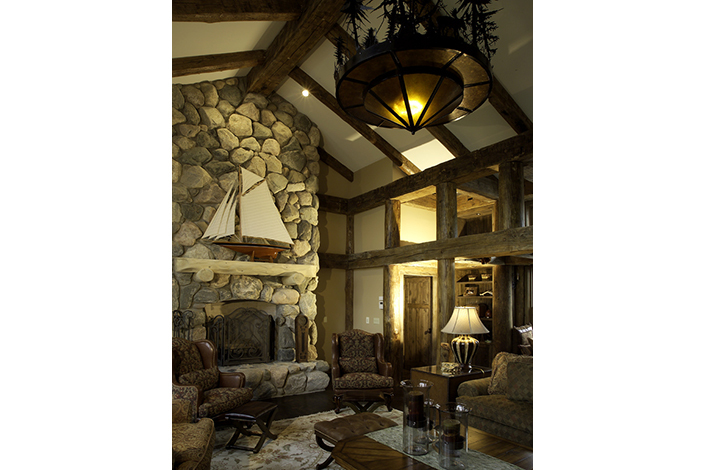 We worked closely with the Cincinnati architectural firm McConnell & Ewing to provide the timber frame materials for this custom home along the shores of Lake Charlevoix. 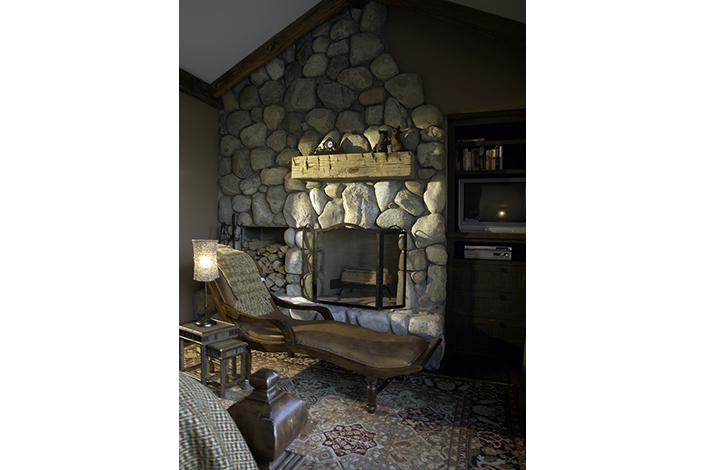 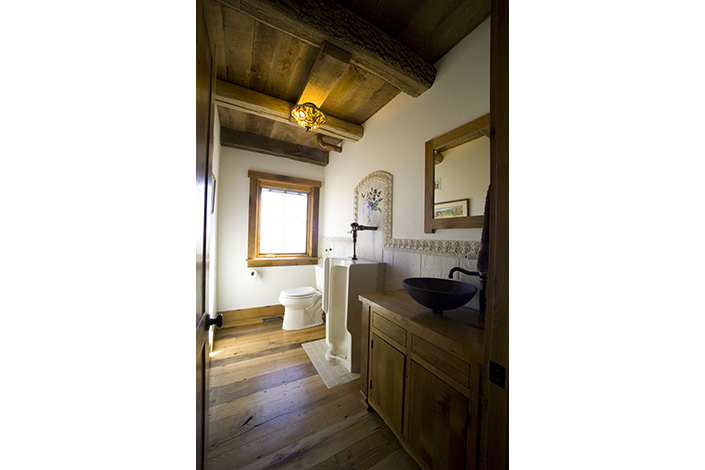 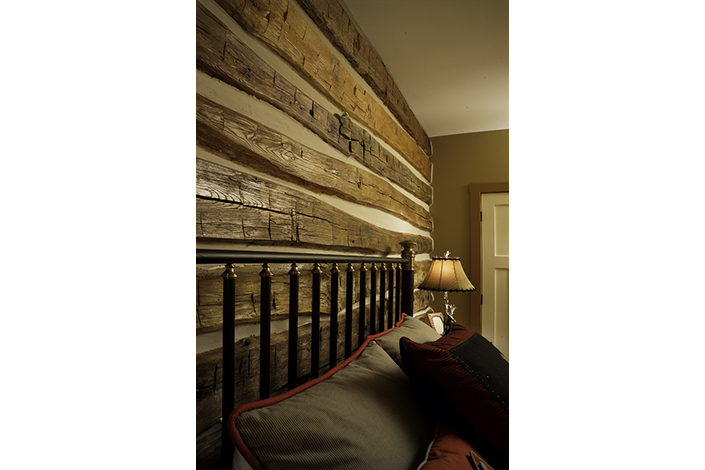 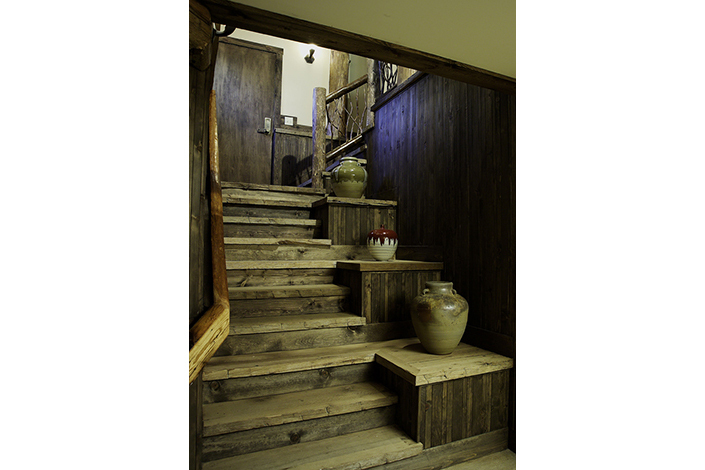 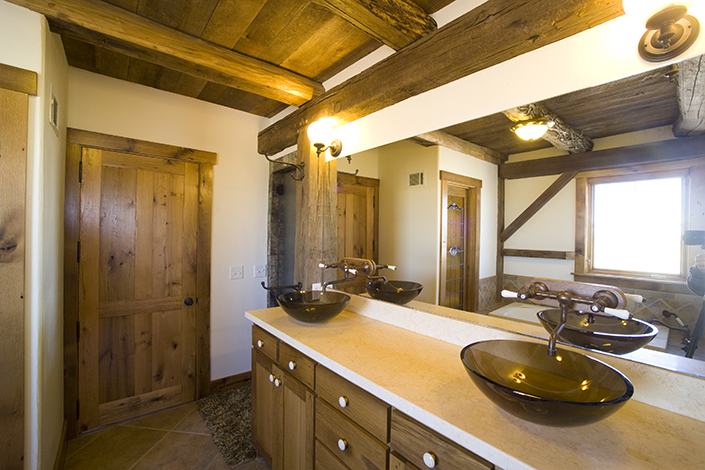 We provided custom-made components for a bathroom countertop of reclaimed ash hardwood, stair treads and risers, custom milled wainscoting made from reclaimed barn siding, hand hewn mantles for fireplaces, and elements incorporated into the downstairs bar. 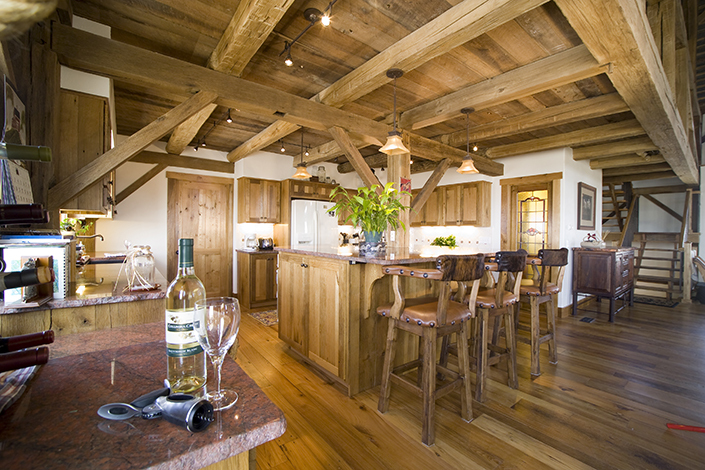 The massive custom-made walnut table was based on customer specifications.